We have won the prestigious British Christmas Tree Growers Association Award for the Best Fir, the Best Pine and 2012 Grower of the Year! 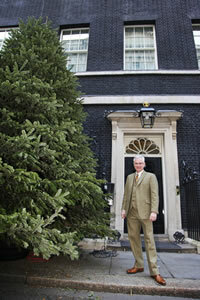 With this award we have been asked to present “the tree” to 10 Downing Street. As you can imagine we are thrilled to receive this award and is payback for the years of investment we have made in our trees. 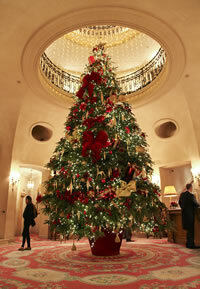 Along with our partners we have been priviledged to supply the Ritz Hotel, Piccadilly, London with their Christmas tree for the 5th consecutive year. We supply large trees each year to some of the finest hotels in the country, stately homes, council authorities, leisure complexes. 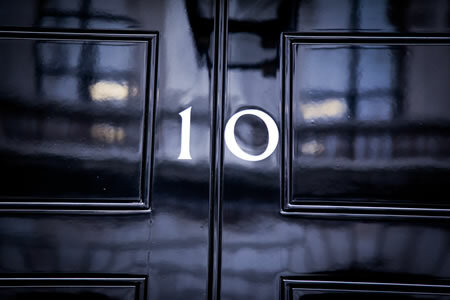 We would be delighted to discuss your requirements. 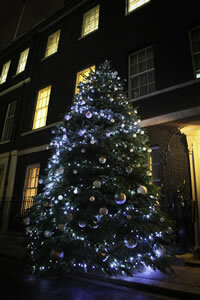 A Christmas tree specially selected for Prime Minister David Cameron has started its journey from Galloway to Downing Street. The 20ft fir is being supplied by Garrocher farm at Creetown as part of their prize for being named UK Christmas Tree Grower of the Year. 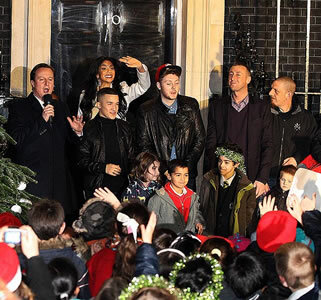 THE No.10 Christmas tree was brightened by X Factor stars as the three finalists joined the Prime Minister to turn on the lights.